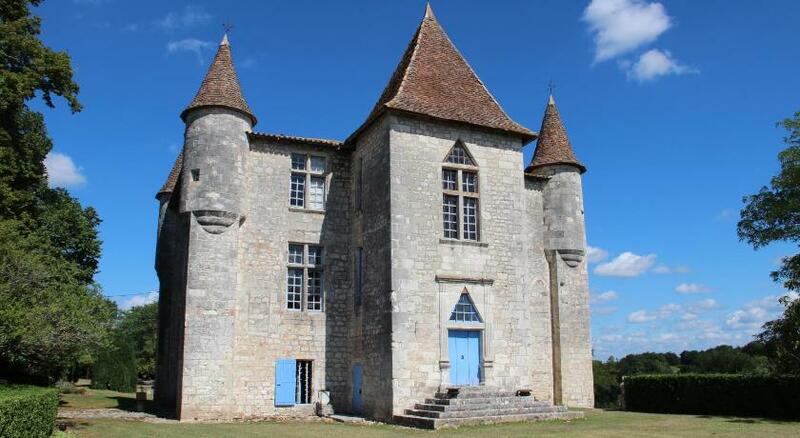 Chateau de Panisseau offers both B&B and two 4-bedroom gites (sleeps 8 each) and a 2-person apartment, Overlooking a 12th century castle. Set in the heart of the Bergerac wine region, this is an ideal setting for a family holiday focused on relaxation and nature. Offering a view of the garden, the guest rooms are individually decorated and have antique furnishings. Each room has a private shower with access to shared toilets.The gites are fully furnished to the height of luxury, and they share a heated pool, gym and hammam. Wine tasting and treks around the vineyard are just two of the everyday activities available at Panisseau. Les Pruniers Buddhist village is a 5-minute drive away. Here the wine is Bergerac AOP, and the red is a blend of Merlot, Cabernet franc, Cabernet Sauvignon and Malbec, from vines planted in a limestone rock soil which is warm and produces an early crop and available as oak-aged. Whites and rosés are also produced. Although using Bordeaux-style blends the wines of Bergerac often represent great value for money and some producers make some seriously good wines. The Chateau de Panisseau is in Thénac, about 20km southwest of Bergerac and 50km east of Saint Emilion, Our preferred Bergerac producer Chateau Grinou is just a couple of kilometres from Thénac at Monestier.